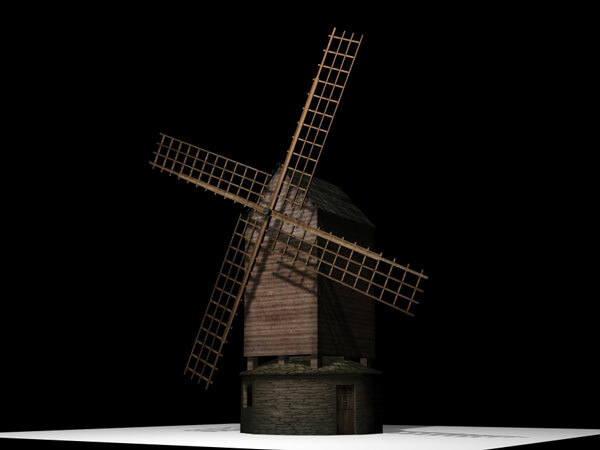 3ds and OBJ files + textures inclosed, Old Dutch Windmill 15 century, the masonry tower mill, the cap is rotated rather than the whole body of the mill, The cap can be turned into the wind either by winches or the tail pole outside the mill. Tower windmill antique sails. 3ds agriculture, air, backgrounds, beauty, bread, cereal, clear, corn, crop, culture, dutch, farm, field, flour, flower, harvest, hill, house, illustration, land, meadow, mill, nature, old, propeller, retro, rural, scenery, season, structure, tower, village, wheat, windmill, work.